The book contains ten chapters. Chapter 1 deals with classification of propellants and explosives. Mechanism of thermal decomposition of ammonium perchlorate (AP) has been given in Chapter 2. Synthesis and characterization of various types of nanomaterials such as oxides, ferrites, cobaltites, oxalates, mono, bi and tri metals of transition metals, and oxides of lanthanides have been discussed in Chapter-3. These have been found to be potential thermal decomposition and burning rate catalysts for AP and composite solid propellants. The preparative methods for various types of nanoenergetic compounds have been described in Chapter 4. Thermolysis of various types of nitrate, perchlorate, and NTOate salts has been discussed in Chapters 5-7. Preparation and characterization of transition, lanthanoids metal nitrate, and perchlorate complexes with ligand of various amines have been described in Chapters 8-10. In each group of compounds, the structural properties of the individual compounds are determined by gravimetric, IR and NMR studies. For those compounds which gave crystals, X-ray crystallography technique was undertaken to determine their structures. The results obtained from thermoanalytical and kinetic investigations related to the thermal decomposition, ignition/explosion and combustion of the compounds have also been described. The author hopes this book will be of interest to everyone involved with energetic materials irrespective of their background. 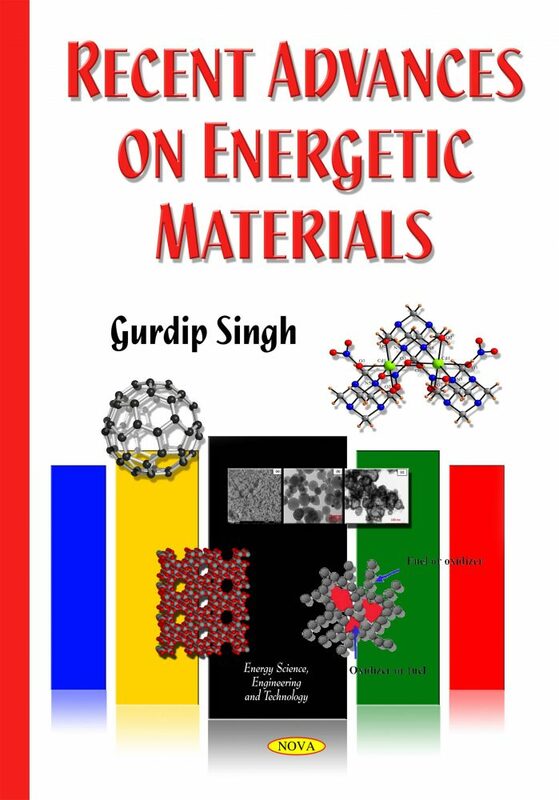 This book is written for everyone involved with energetic materials irrespective of their background; Universities, Institutes, R&D laboratories, Quality assurance, Production agencies, Forensic laboratories, Armed forces (Army, Navy and Air Force), Homeland securities, Chemical Industries etc. It is hoped that this presentation will serve to stimulate more research interest in high energetic, nanoenegetic and nanomaterials. Professional people, groups or institutions related to energetic materials will find it useful in their work. Those industries which produce explosives for various purposes, this book will also help them.